. 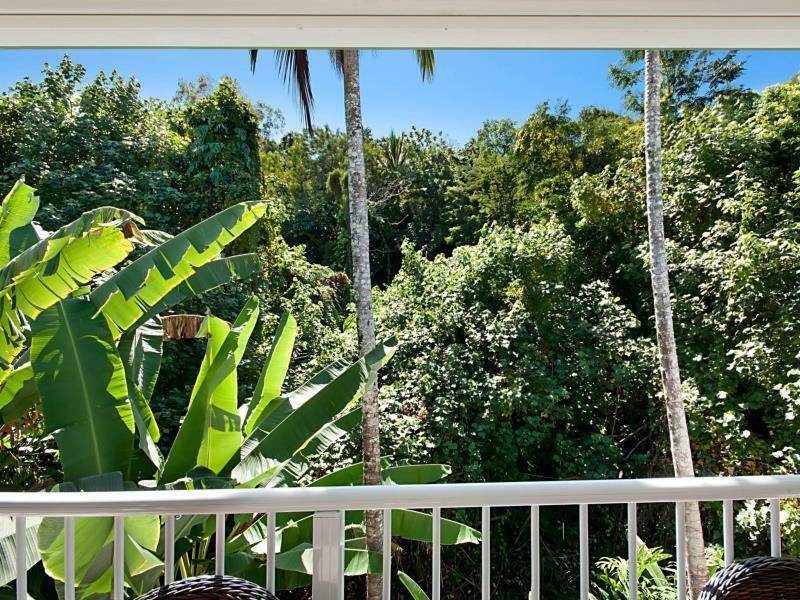 كما يقدم By The Sea Port Douglas Apartments الكثير من الخدمات لإغناء رحلتك في بورت دوجلاس. لضمان راحة ضيوفه، يقدم الفندق الخدمات التالية: واي فاي مجاني في جميع الغرف, تخزين الأمتعة, واي فاي في المناطق العامة, صف السيارات, التوصيل من وإلى المطار . لقد جهزت هذه الإقامة الفندقية بعناية فائقة لتوفر مستوى عالي من الراحة. في بعض الغرف يجد النزيل تلفزيون بشاشة مسطحة, اتصال لاسلكي بالإنترنت, اتصال لاسلكي بشبكة الإنترنت (مجاني), غرف لغير المدخنين, مكيف هواء. يمكنك طلب اللائحة الكاملة للخدمات في الفندق ومن بينها مسار جولف - ضمن 3 كم, حمام سباحة خارجي, حديقة. 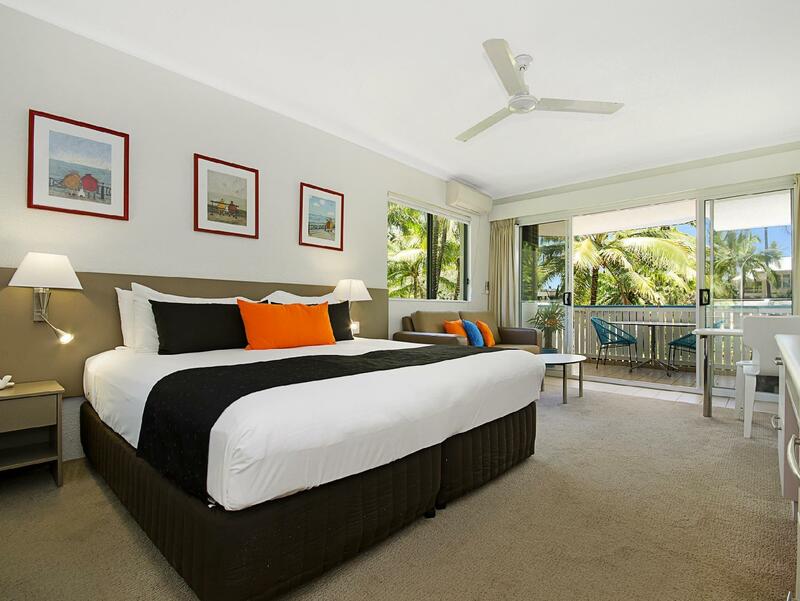 يحظى فندق By The Sea Port Douglas Apartments بموقع ممتاز وخدمات يصعب منافستها. يُرجى ملاحظة أنه يجب على النزلاء ذِكر موعد وصولهم التقديري عند الحجز حتى يتسنى للعقار التواصل معهم لترتيب إجراءات تسجيل الوصول خارج ساعات العمل إذا لزم الأمر. 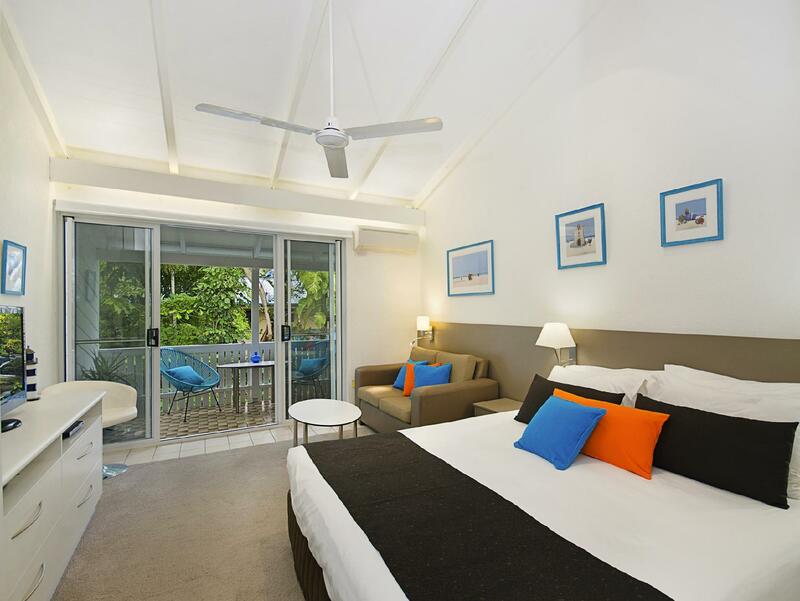 This was our first time to Port Douglas and am super glad we stayed here. Very nice room, comfortable bed, clean bathroom and amenities. Staff were super polite providing great information and help. Felt like part of a family there! So many great little amenities they provide for you to use while you are there also! Just down the street is the main collection of shops & restaurants and a short walk to the start of 4 mile beach! Wonderful location with great sea views. Ladies in front were lovely and the dvds available along with the towels, chairs etc were awesome. Unfortunately the bed was uncomfortable and had thin mattress which rolled into the middle. Could not fault this venue. The extras like free ice,eskys, beach carts, dvds and the list goes on are a lovely touch. If I could ask for one thing it would be stubby holders. Get them printed and build them into the room cost and allow guests to take them home. Great marketing and advertising and gives the customer something to keep their beers cold. Overall highly recommend this complex and we’ll be back one day. Location is great in the town centre and close to the beach. The girls are fantastic, thanks for the bottle of champagne for my birthday! 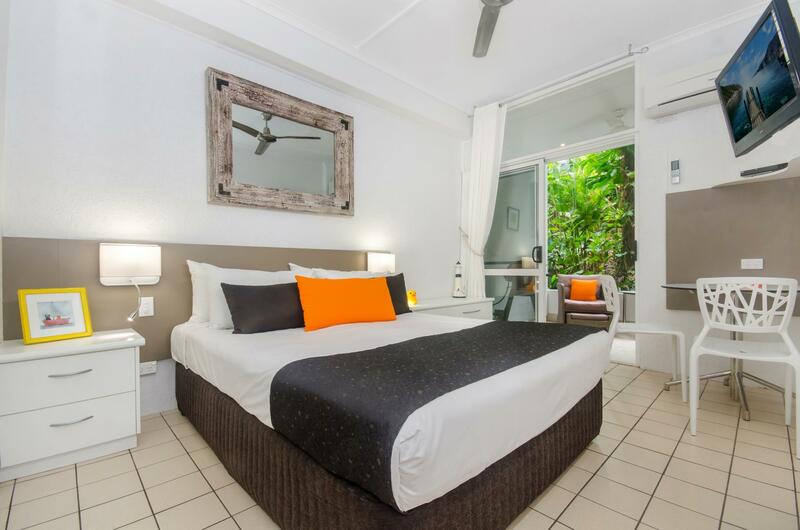 Great rooms, heaps of free stuff for you to take to the beach, or go out with and come back. Wouldn't stay anywhere else. Thanks for an awesome stay! 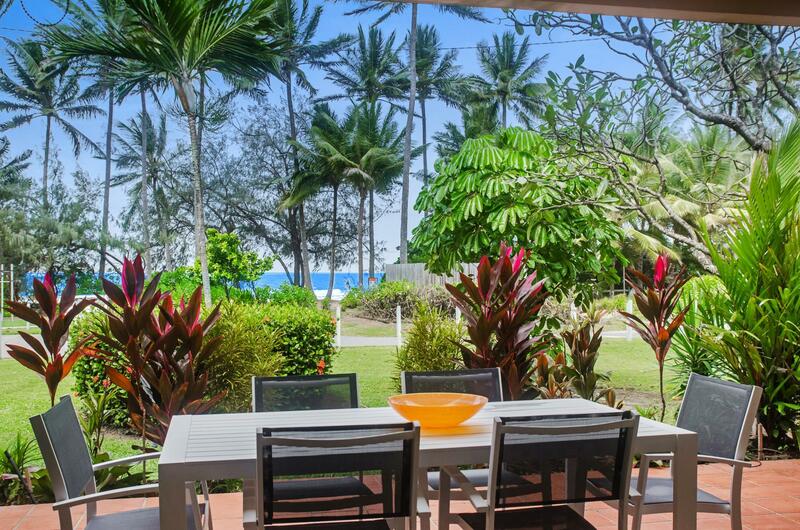 Very good location, walking distance to beach and main road. The girls are very nice and accomodating. Can’t thank them enough for all their helps. Nice facilities as well, they pretty much have everything you need from beach towel to esky and bike. All available for free to use by hotel guests. I live locally and travel to Port Douglas a lot. I have stayed at many place in Port from very expensive 5 star to Airbnb home stays. By The Sea is by far the best value for money. A great deal of thought has gone into the design of the rooms and facilities. But what gives this place the edge over all others is the staff. Typically Cairns and Port Douglas have embarrassingly bad customer service (god knows what foreigners think of us!). Not here. The customer service at By The Sea is impeccable. Every other place in Port should send their staff here to learn what is meant by "Hospitality". Superfriendly staff who make you feel really welcome and help you out with everything. Absolutely nothing is too much for them. Clean comfortable room and bathroom, really ok for what you pay. Superfast WiFi for free. Pastel color building, steps to four mile beach. Wonderful ladies at the desk, astonishing assortment of free-to-use stuff in the lobby. Easy free parking at basement level or on the street. We had the third floor walkup but the ladies whisked our bags upstairs on arrival and downstairs on departure. 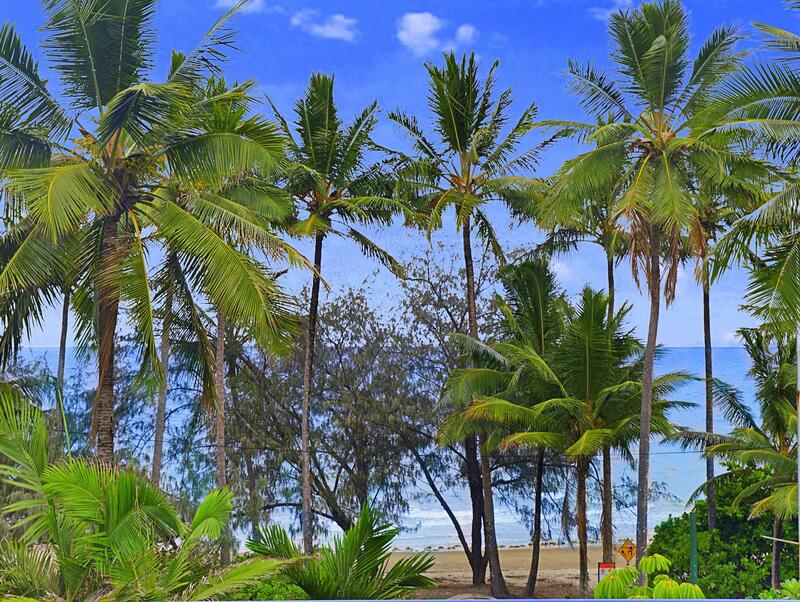 Port Douglas is way nicer than Cairns, and By The Sea is the place to be! Great Location and service but the bathroom can be improved. We stay at the level 1 bedroom overlooking the pool. Ventilation fan makes noise when open. Also shower taps require mixing hot and cold water. We were struggling to get the right temperature. We enjoyed our stay here, friendly and helpful staff. Close to everything, didn't have to drive anywhere. Will definitely stay here again. It was a great location and the place was immaculate with pleasant and friendly staff. Certainly good value for groups or families. Loved the location, staff and facilities and services provided for customers. Highly recommended. We had a great stay. Staff is simply amazing and helps you in every possible way! The staff were wonderful. Went way over the top to be helpful. 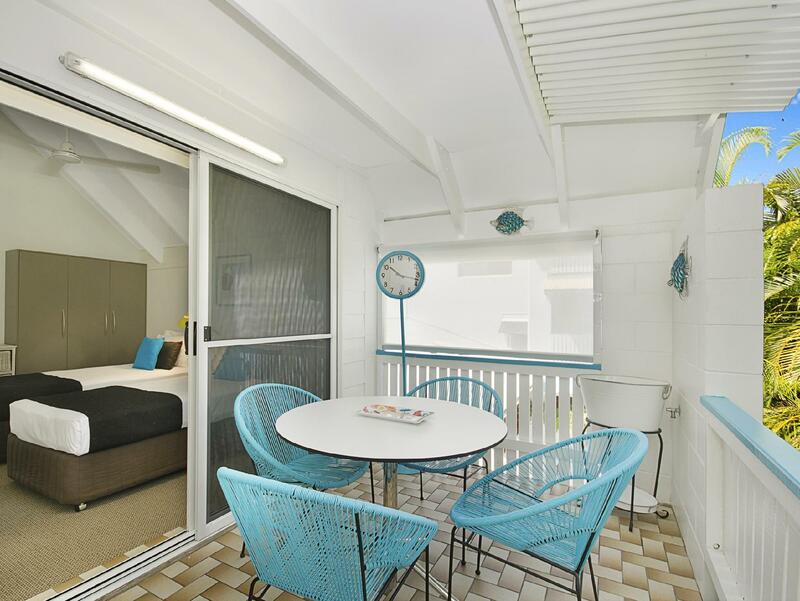 The apartment was well equipped and the resort had numerous amenities including beach chairs, beach towels and umbrellas. The staff were particularly helpful in getting our lost luggage tracked down and delivered. Lovely ladies. By the Sea was just a wonderful accommodation for my wife and I. The "girls" were just so friendly and offer every amenity you could imagine...from bikes to shopping trolleys to beach chairs or lounges. 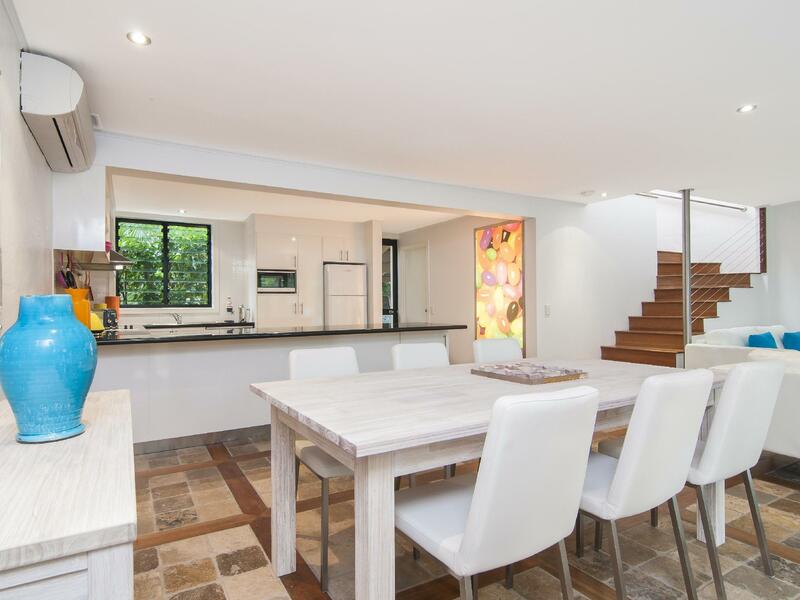 It's location is ideal to walk to town for restaurants or just across the street to the beach. Without a doubt we will stay here on our next visit to Pt. Douglas!! We booked By The Sea based on its location and a lot of good reviews. We were not disappointed as it is just a short walk to the centre of Macrossan St and many good restaurants and an even shorter one to the beach. The ladies are as good as the other reviews say and could not have done more for us to make our short stay perfect. A disappointing,very basic room. Musty smelling and close to noisy laundry facilities. So much light entered the room at night I had to buy an eye mask. Having said that staff were helpful and facilities very good.